If you were injured at an Airbnb rental property in the Florida Keys, then you will likely need to consult with a Florida Keys Airbnb Accident Lawyer to help you figure out how to get compensated for your medical bills, lost wages, pain and suffering. It can be complicated, but it is possible. That is where the Airbnb Accident Lawyers at the Wolfson Law Firm can help. Call us at 305-285-1115 for your free consultation right now. 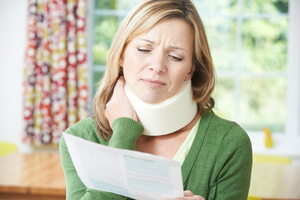 Our personal injury lawyers have helped South Florida injured victims since 1963 and they can assist you too. We have offices in Miami, West Palm Beach and Broward County. At the Wolfson Law Firm, we have provided aggressive personal injury representation in the Florida Keys and Monroe County since 1963 as well. Our Miami Uber Car Accident attorneys have served folks injured in Uber accidents in South Florida and that includes the Florida Keys and Monroe County. Uber accidents and Airbnb accidents have important similarities. Both services are centered around apps and the companies partner with independent contractors who use their own products (vehicle/home). Both companies have endured significant battles with local and state governments. Both companies provide up to $1 million in insurance coverage for personal injuries depending on the facts of your loss. Your Florida Keys Airbnb Accident Attorney will need to investigate the facts of your accident. In addition, insurance policies will need to be closely reviewed by your attorney to determine what coverage may be available for your damages. Our Monroe County Airbnb injury attorneys had to perform similar analysis of Uber and personal auto insurance policies in Uber and Lyft car accident cases. Those same principles would be applied to your Florida Keys Airbnb accident case. Airbnb boasts that it has serviced more than 60 million guests in 34,000 cities in 191 countries. It claims to have had 2.5 million listings as well. Included in those listings are 1400 treehouses and 3000 castles. In the Florida Keys, it is estimated that there are more than 2500 listings and a majority of those were with Airbnb. These figures were provided by Host Compliance which is a company that scans the advertisements on the internet for short-term rental listings that may not be in compliance with local laws and regulations. Leases, Condo Rules, HOA Rules and any other rules that could impact their status as an Airbnb host. In addition, Monroe County Commissioners continue in their efforts to regulate, tax and eliminate short-term rentals like the ones offered by Airbnb. Despite those efforts, Airbnb hosts continue to offer Airbnb rentals in the Florida Keys. In fact, Airbnb listed the Florida Keys as being in its top ten sought after locations. If you were injured while staying at an Airbnb in the Florida Keys, you are strongly encouraged to call a Florida Keys Airbnb personal injury lawyer. There are a number of hurdles and obstacles between you and full, fair and complete compensation for your losses and harms. Our Florida Keys Airbnb accident attorneys are here to assist you and your family when you are injured at an Airbnb house, condo, boat, apartment or home. Call us at 305-285-1115 for your free consultation. Our Florida Keys accident lawyers serve the good people of Monroe County including Key Largo, Key West, Marathon, Tavernier, Islamorada, Stock Island, Torch Key, Duck Key, Boca Chica, Big Pine Key, Ramrod Key, Sugar Loaf Key and Matecumbe Key.